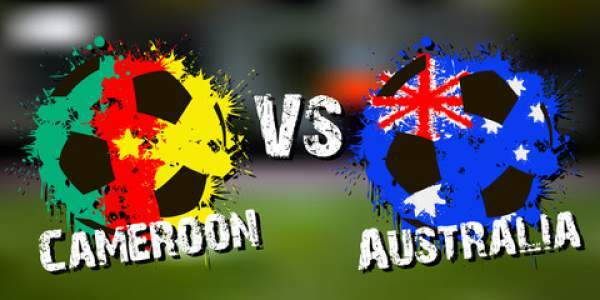 Cameroon vs Australia Live Streaming Score: It is Cameroon playing against Australia at the Saint Petersburg Stadium in Saint Petersburg for their first game in the round 2 of the FIFA Confederations Cup 2017. Both the teams lost their first game of the tournament and are currently in the bottom two. This will be a very important game if they want to stay in the Cup. Cameron played their first game in the tournament against Chile and lost the game by 0-2. Arturo Vidal and Eduardo Vargas scored for Chile as they won comfortably. Chile dominated the possession as they had 66% of it. They also had 17 shots out of which six were on target as compared to Cameroon’s eight shots out of which one was on target. Both teams will be playing for the first time against each other. Being a do or die match Cameroon will have to try their best and win the game so as to move further in the competition. Australia played against Germany in their opening game of the tournament and lost the match 2-3. Aussies tried their best but was not able to win the match. Lars Stindl opened the scoring in the 5th minute of the game but Tomas Rogic equalized in the 41st minute. After that Julian Draxler took the lead and then Goretzka doubled their lead in the 48th minute. Tomi Juric was able to pull one back but it wasn’t enough as Germany won the game by 2-3. It is a do or die match for both the teams so they will try their best.